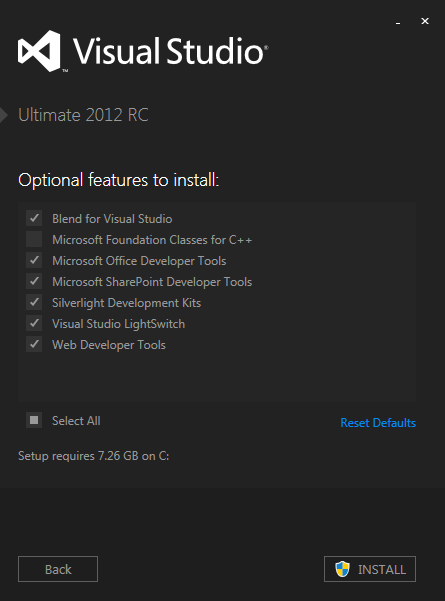 First you will notice that Visual Studio 2012 gets an updated logo. Falls in line with the Metro theme that is being applied to just about every product these days. 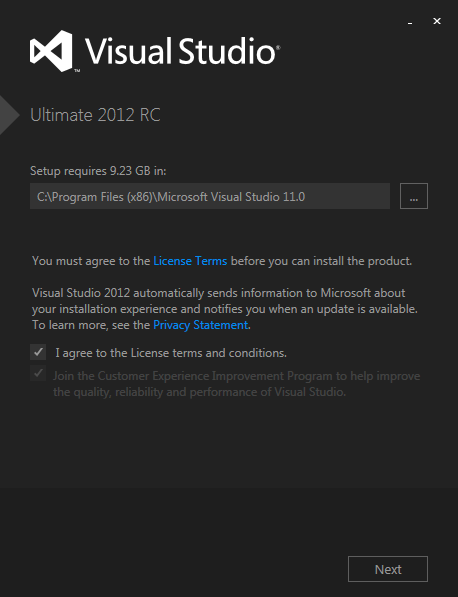 Visual Studio 2012 sports a new installer UI. It clearly embraces the Metro style. These UI changes are not final. It’s already been posted on the Visual Studio Team Blog that further changes to the Visual Studio themes are coming but just didn’t make the release candidate.